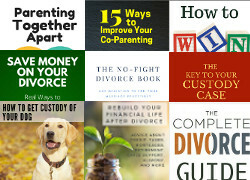 The following articles provide inspiration to help you deal with all the issues that go along with starting over after divorce. You'll get tips on how to deal with the left-over emotional baggage, find out how to handle issues with the ex's (both spouses and in-laws), reclaim your space to it reflects the true you, and more. After all, this can be a new chapter in your life, one that you get to write a happy ending for. How To Cope With Divorce - Has your divorce left you feeling overwhelmed with anger, grief, and confusion? Here are some tips to help you cope with all the changes. Healing from Divorce - These self-care tips can help you feel less stressed out, worried, and exhausted after your divorce. Advice for the Newly Divorced Woman - Here's your chance to get lots of tips and insight from other women who've moved beyond the pain of divorce and gone on to a better life. Recovering From Divorce - Do you find yourself struggling with the adjustments of not having a spouse in the house? If a good part of your identity was tied to the marriage, these tips will help you begin to rediscover yourself and reclaim everything you gave up. Accepting Divorce as a reality and being grateful for what you now have. 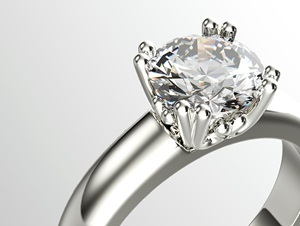 How to Sell an Engagement Ring - If you've decided to sell your wedding rings and other marital bling, here are some options to consider. Reclaim Your Space after Divorce - Redecorate and let your home reflect the new you. Dealing with Family Keepsakes - Are you wondering what to do with all the keepsakes you accumulated during your marriage? 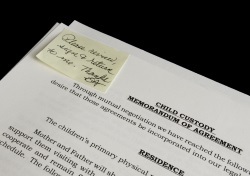 Before you toss them, consider their sentimental value to your kids. Letting Go after Divorce - Learn how to let go of the baggage from your marriage so you can move forward with peace of mind. Getting Back Into Life After Divorce - Embracing change. Dealing With Your Ex After Divorce - The importance of cutting the emotional, physical, and mental ties that can keep you bound to your old life. Tips to Help Get over Your Ex - You can't start healing if you're still obsessed with thoughts of your ex and what he's doing. Learn how to stop re-living the past so you can move on with your life. Codependent Behavior and Divorce - Did you sacrifice your needs and wants in an effort to save your spouse from himself? If your sense of worth is tied to his actions, it’s time to see what part you play in this unbalanced relationship. Rebuilding Your Confidence After Divorce - Become the woman you were meant to be. Learn to Love Yourself Again - It can be hard to see the good that can come from divorce. But by reflecting on what you ignored during the marriage and focusing on yourself (warts and all), you can learn how to love yourself through your journey. Finding The Courage To Start Over After Divorce - Tips from the life coach on dealing with a variety of issues. The Positive Side of Divorce - The pain of divorce can alter your outlook. Instead of resenting what you lost, use the divorce as a springboard to get what you really want out of life. Dealing With Trust Issues In Relationships - Learning to trust again. Starting Over After The Divorce - Realizing that you are important also. Rebuilding Your Life After Divorce - Find out what it takes to move on when your inspiration for life has taken a beating. Finding Happiness After Divorce - Were you expecting to finally be happy after your divorce? Are you now wondering why you aren't feeling more joy and contentment in your life? Being happy is not a passive emotion that magically happens, but one you actively create. These tips can help. Moving On After Divorce - Embracing a new perspective can make all the difference. How Can You Ever Forgive Him - You may be left with a lot of bitterness towards your ex. But if you truly want to move on with your life, you need to learn how let go of the grudges. Building Self Esteem - Tips to help you learn how to love yourself again and embrace your new future. Healing After Divorce - Find out how to deal with the emotional baggage so you can start over on a solid foundation based on what you truly want out of life. Letting Go - Advice from the life coach to help you move on. Dealing With Ex-Spouses - How to handle the interactions after divorce. Sharing the Teachable Lessons about Divorce - There are some positive take-a-ways from divorce which are important to share with your kids. Doing so can help teach them about handling setbacks, developing resilience, and more. Parenting after Separation or Divorce - A big part of parenting after your split is learning to parent all by yourself. Get tips on adjusting to the challenges of being a single mom. Cooperative Etiquette for Special Occasions - When you have kids together, there are certain events such as graduations and awards ceremonies you'll both be expected to attend. Find out how to handle the awkwardness so the day remains special for your child. Adjusting to Being Away from Your Children - Tips to help you cope when you kids aren't living with you. Divorce and Your Former In-laws - If your ex-in-laws are also the grandparents of your kids, it's important to foster an ongoing relationship with them. Find out how to make it work to everyone's benefit. Financial Issues to Address after Divorce - After the divorce is finalized, there is some financial clean-up tasks that need to be taken care of. Find out what they are. Household Moving Checklist - Tips and advice to make moving day easier. Career Advice to help you get a better job. Holiday Survival Tips - Get advice and inspiration on how to handle the various holidays after divorce while co-parenting with your ex. Divorce Support Groups - Many women find joining a support group helps them work through a lot of their issues. If this is something you are interested in, this page can help you find groups in your area. Divorce can be an emotional roller coaster. Optimism and inspiration over life's possibilities can suddenly swing to depression over what was lost. It helps to know that you're not going crazy, just growing emotionally. Eventually, you start to accept what has happened and gain perspective on the whole situation. As you begin to feel better about yourself and life in general, you'll start letting go of your resentment. You can emerge from your divorce a stronger and better person. Starting over is your chance to become the person that you always wanted to be.